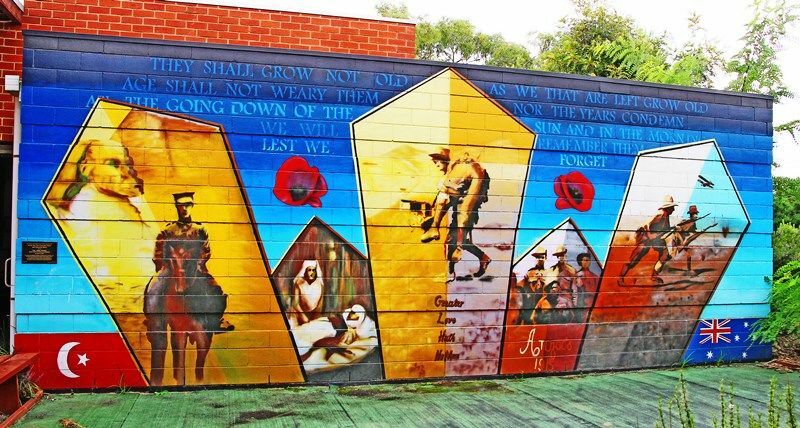 A mural commemorates the centenary of ANZAC and those who served in World War One. 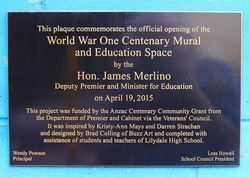 This project was funded by the ANZAC Centenary Community Grant from the Department of Premier and Cabinet via the Veterans` Council. It was inspired by Kristy-Ann Mays and Darren Strachan and designed by Brad Colling of Buzz Art and completed with the assistance of students and teachers of Lilydale High School.